Info: Born in Canada, but raised in California and now residing in Texas, communicating a message as an artist has always been a part of who Sho Baraka is. Introduced to hip hop at a young age, he grew to love its content and attitude. Living in Southern California during the height of gangsta rap presented its challenges to many youth, as well as Sho. 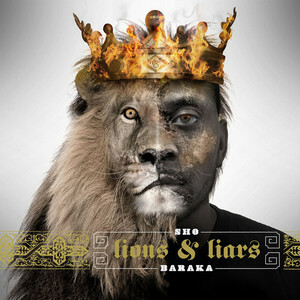 In high school Sho and some friends from his neighborhood formed a rap group that began touring with major recording artists. But his life took a different turn after the rap group fizzled, and close friends were killed and others incarcerated due to the gang life they led. The message of his life began to change. He decided to heed his father's advice and apply to college, pursuing education instead of the streets. At the time, Christ was not a part of his life, but his older brother, his father, and a leader at his church, had always promoted education and having a personal relationship with Jesus Christ. Sho Baraka continued on to Tuskegee University, and it was there, that the seeds that they planted in him finally took root. While in college, through the lives of some solid christians on campus, the Lord rescued him and redeemed his heart. Sho's message changed from promoting himself and hip hop to promoting Christ, and now he wants the world to see the Lord at work in him. Our popular culture today elevates the lifestyles of rappers who promote ideas that only destroy our culture, but because of God's grace Sho has a different message: "Turn My Life Up". On March 29th, 2007 it was announced the artist was signed to Reach Records. The album "Turn My Life Up" (2007) was nominated in the category Rap/Hip Hop Gospel CD of the Year at the 24th Annual Stellar Awards 2009. 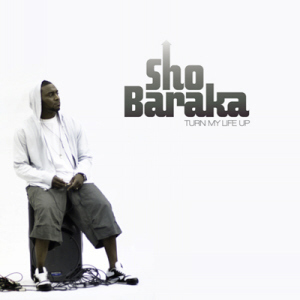 Sho Baraka's debut album "Turn My Life Up" is released on Reach Records in 2007. Info: The album is released on November 20th, 2007.